Business cards are essential nowadays and they have proven to be an effective way to market your company. There is a bit more to it than slapping your name on a piece of paper and calling it a day. You’re going to want to make sure that your business card stands out from the crowd and directly represents your company’s qualities. There are a few things that you can do in order to create a professional and impressive business card. Let’s talk about how you can make your business card stand out from the rest. One of the most important tips that you’ll come across is to make your business name the most defining element of your business card. This is important because it will allow the reader to easily memorize your company name and if they happen to lose the card, they will still have a way to contact you. 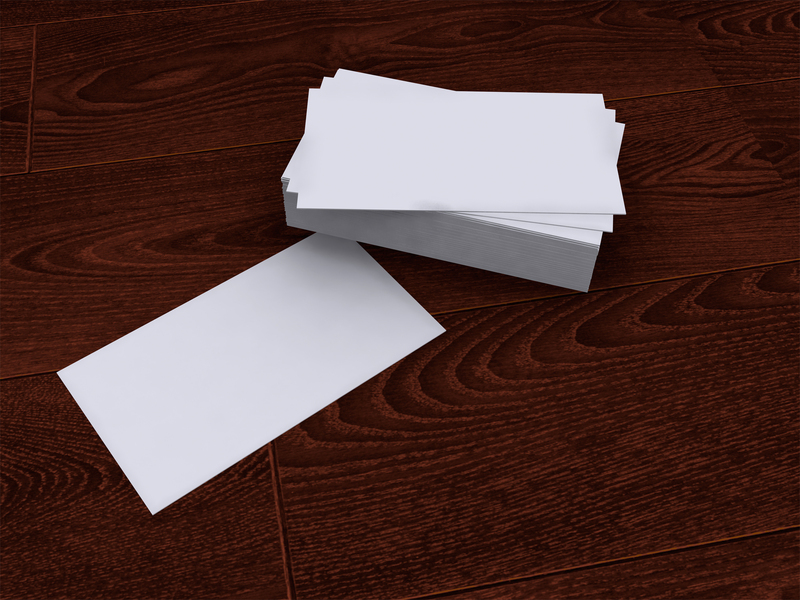 Business cards have two sides, and you should utilize each one. Use one side of the card to market your name, and use the other side to point out some of your company’s qualities. At first most customers will second guess your company’s ethics, so a positive reinforcement can go a very long way. One way to ensure that your business card sticks into the readers head is by making use of an image. This can be many different things; professional logos, a headshot, even a picture of some of your company’s products. Make sure that you somehow showcase your company in the form of an image. A big trend in business cards today is using a QR code. This is a little square image that allows the reader to scan with their mobile device and quickly open up a website. This is a great way to get a potential customer to check out your site and it makes it extremely easy for them to do so. You can find various online generators that will create a QR code for your company’s website; it’s very easy to do. How Should I Distribute My Business Cards? This all depends on your company and also what type of goods or services you offer. It’s best to distribute your cards to a demographic that is likely to be interested in what you have to offer. A great way to do this is by visiting conventions and expos that are related to your niche and by speaking at events and doing networking before and after speeches.